2013 saw renowned Barcelona-based designer Francesc Rifé applying his studio’s penchant for spatial and geometric proportion, previously responsible for impressive interior and industrial designs in both the private and commercial sectors as well as photography and graphic art projects, into the retail industry, turning out EG10 Gallery in the Gran Palas Hotel, La Pineda, Spain. Rifé is the quintessential artist, reserved about his work and preferring to let his creative projects speak for themselves, as EG10 Gallery more than does. 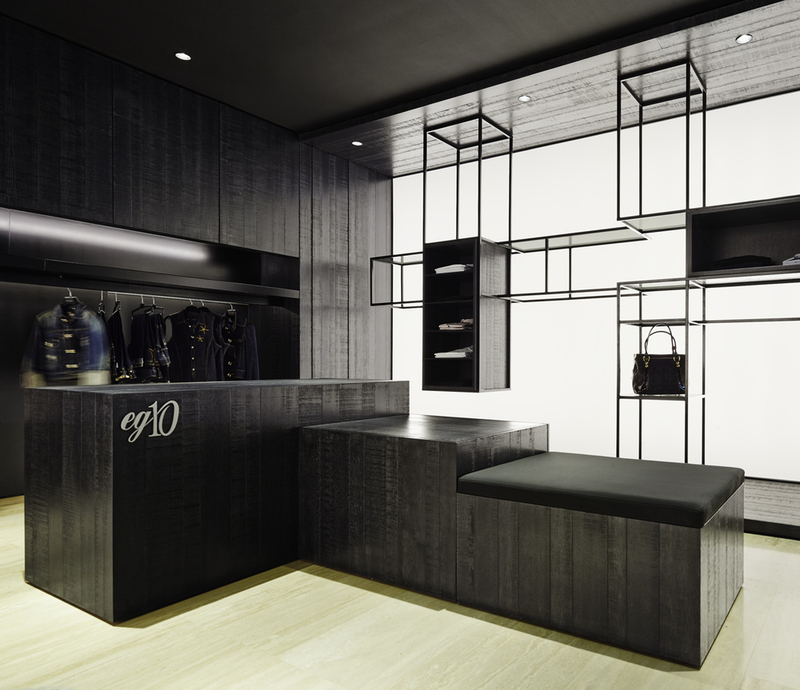 The typical accoutrements of a boutique outlet are all inclusive to the design of EG10. 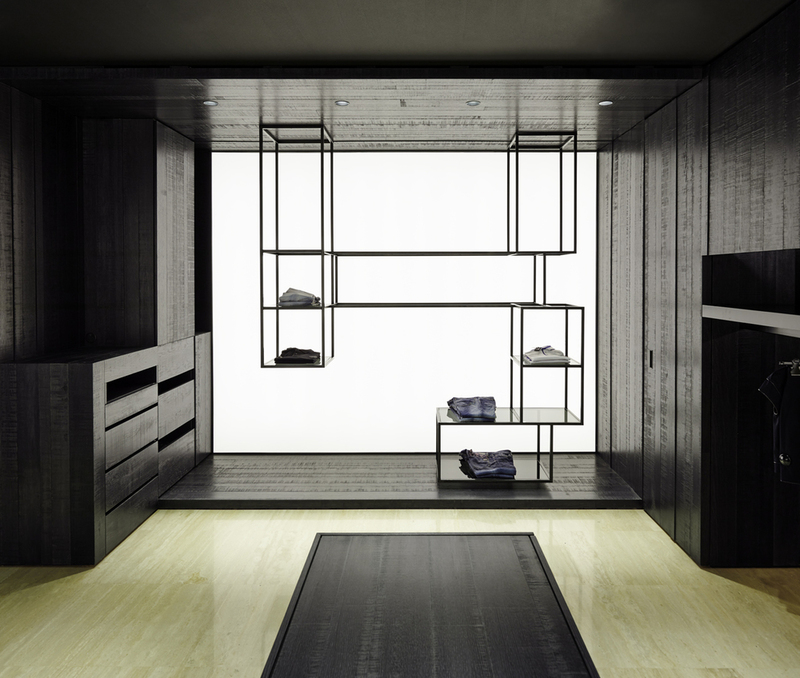 Storage spaces, closets, display stands, containers, even cash registers are built in to the overall design with no visible demarcations or distinguishable characteristics, seamlessly interwoven into the infrastructure. A wooden cabinet might function one hand as a temporary storage compartment while doubling as a cash register. 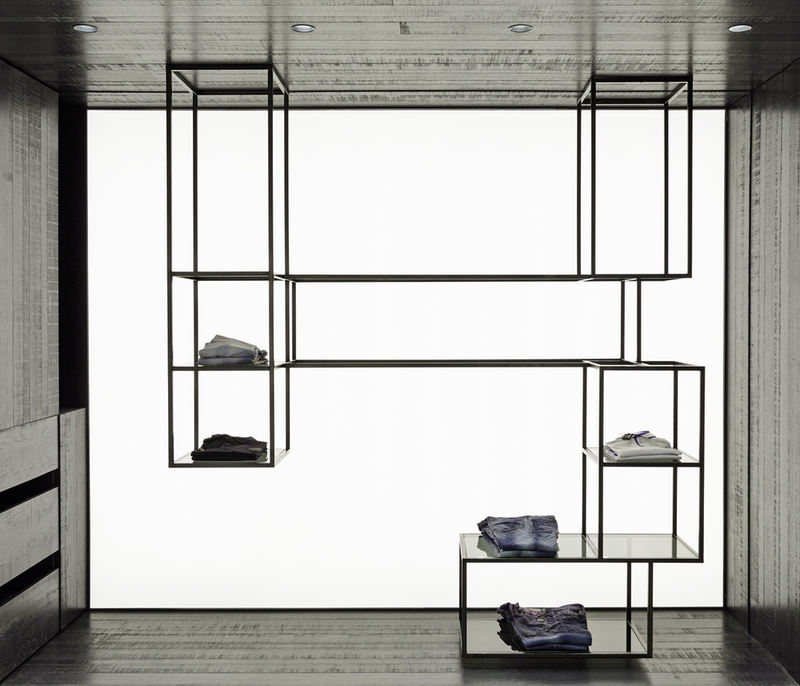 A backlit wall is outfitted with a steel structure upon which products can be hung, folded, or displayed. The harmony and seamlessness of these design fabric is sleek and efficient, impressively inserting a healthy dose of modernity into the quaint Mediterranean surroundings of Catalonia. 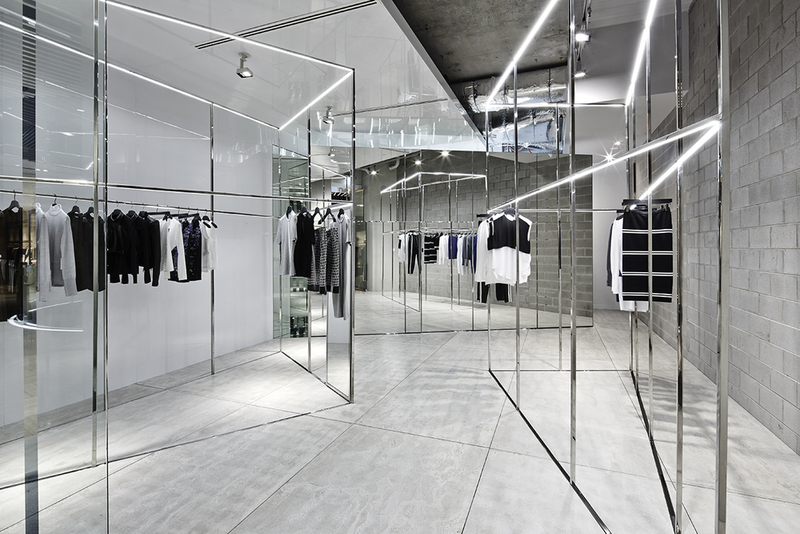 Dissecting the boutique lends an understanding to the complex dimension of functionality it proffers both its workers and its guests. Though Spanish design became known in the latter half of the last century for its majestic tones and high pitched intensity, Rifé’s personal dissatisfaction with that national direction results in him trimming the fat and evening out the contours in his designs, and it definitely shows in the strict geometrical alignments within EG10, where Jackets and blouses hang within a hearth-like recess from which the (seemingly) random steel cubical shelving arrangements horseshoe out at either end. On these, and in these, and are placed clothing items, which in turn take the appearance of either residing on a pedestal in one case, and being suspended angelically from the ceiling in another. Both effects heighten the allure of the clothing–appropriate for marketing–while also increasing the spectacle of the presentation. This creative alternative to the requirements of the project are in dialogue with modern trends but remain aloof of the artistically stifling realm of fashionability, in keeping with the spirit of Rifé’s designs. 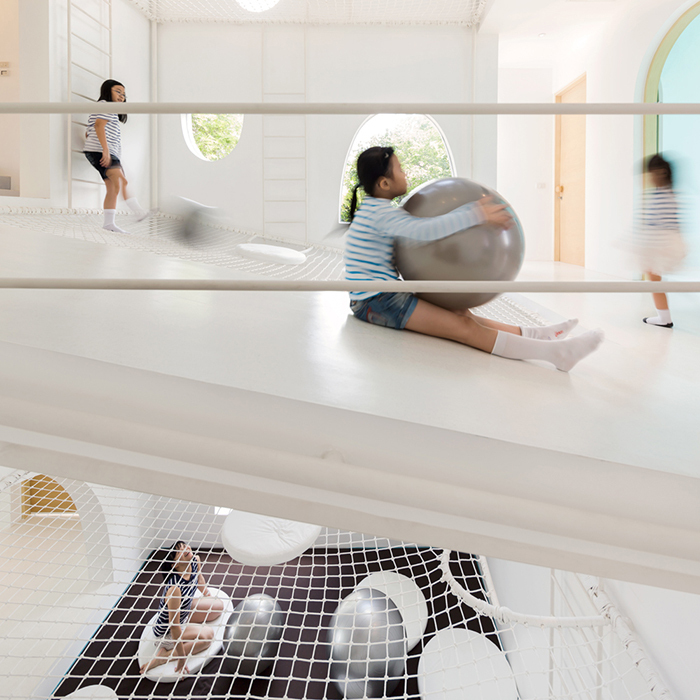 Different materials both fabricated and natural interplay with each other to create a conglomeration that can be appreciated as a whole, or picked apart and observed individually. 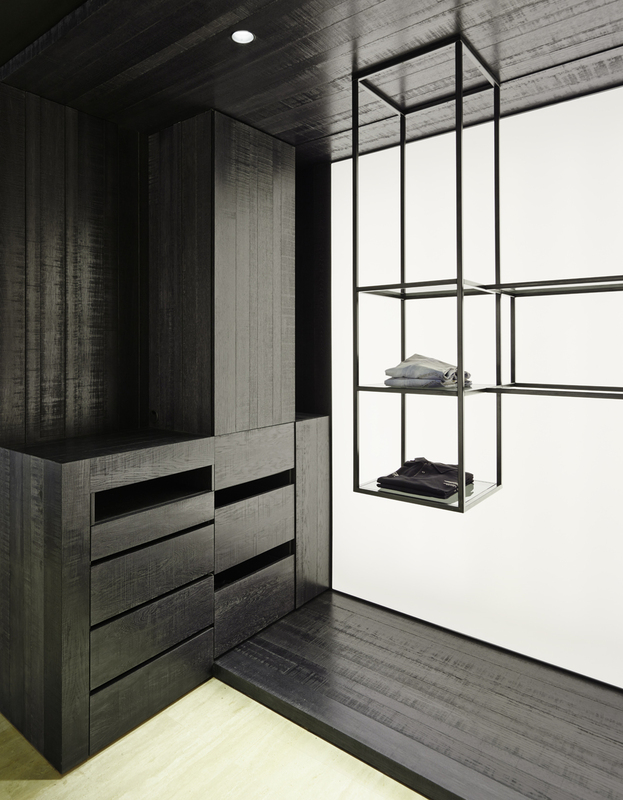 The boutique is crafted in black stained oak wood, which adorns the aforementioned wall in which lies the hearth-like recess, and also a wooden bureau and wardrobe in which shoes are displayed. The oak brings a homelike essence to EG10: a dressing bureau would be made out robustly colored wood, and a wardrobe would have wood-lined walling and a light bulb affixed within a cavity overhead. The homelike quality comes into play as well in the steel frame glass-surfaced tables, which display clothing in a manner that contributes to the “hovering” effect achieved elsewhere with the suspended cabinetry. Wood, steel, and glass create a combined effect of modernity that bucks the trend these materials might be applied to in other “modern” Spanish buildings, and it is all illuminated with a light scheme that is sufficient but subtle. Extending both horizontally along the ceiling and vertically along the walls, the lighting is adjustable in both intensity and color. The overall tone is as clean-cut as the articles displayed, and an air of order and carefully planned arrangement pervades the room and exhorts the mature, high-class quality that has won Rifé awards and notability in design circles worldwide. Whereas other projects of Rifé bridge gaps between the old and the new, he really sticks on our end of the modern with EG10, and this ties back to that initial impression of sleekness, interchangeability of set pieces, and functional efficiency. The design goes against some grains and aligns with others but always remains within the creative scope and individual style of this dynamic designer.